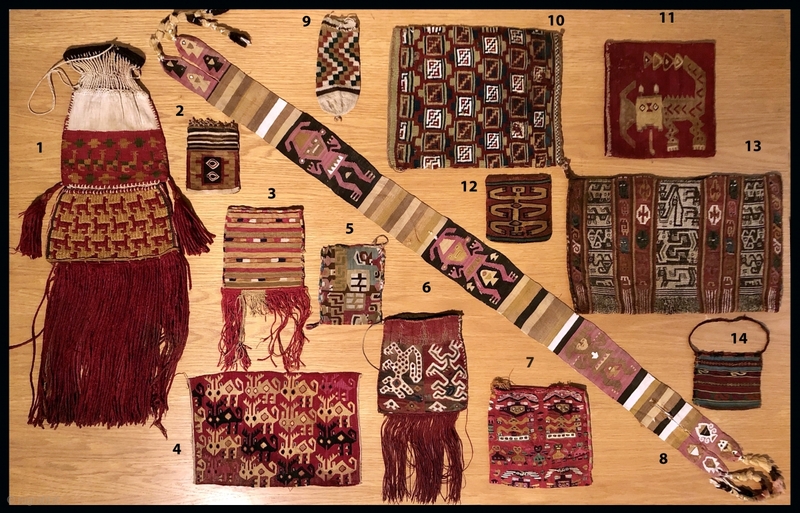 Ancient Andean textiles on the table. From a.d. 200 to a.d.1500. By the numbers inside.